October 1st, 1948 is the official birthday of PUMA as a brand. 70 years ago today, the PUMA brand was registered as a trademark at the German Patent and Trademark Office for the company that was previously known as Schuhfabrik Rudolf Dassler. Rudolf Dassler founded his company in January 1948, one month after he and his brother Adolf had separated, marking the end of their joint shoe manufacturer “Dassler Brothers Schuhfabrik”. At a meeting in December 1947, Rudolf and Adolf Dassler informed their employees about their split up. They left it up to the workers whom they wanted to join. Eight women and six men decided to side with Rudolf Dassler. One of them was Georg Hetzler. 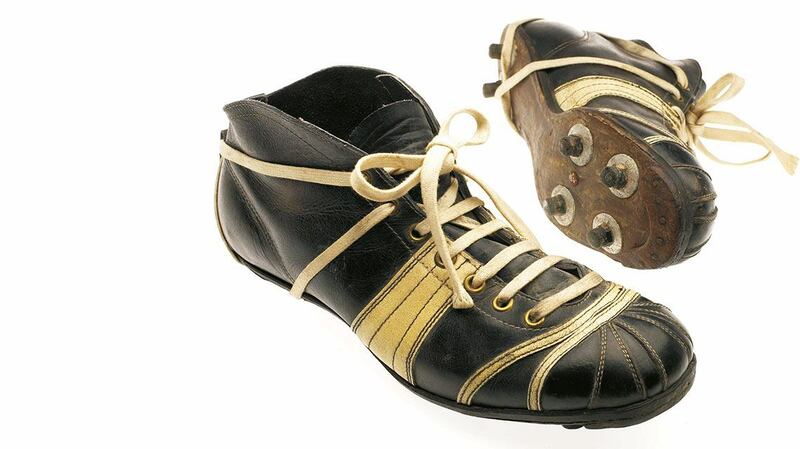 Rudolf Dassler hired the 14-year-old in 1947 as an apprentice cutter. Going with Rudolf also meant choosing a difficult path. 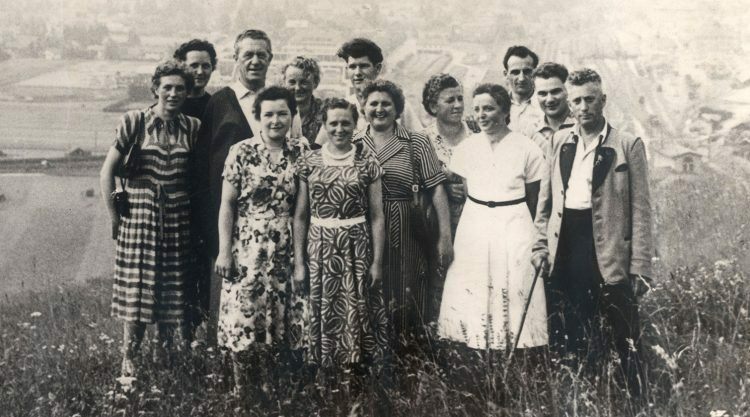 Rudolf Dassler and his 14 employees left the company that existed so far, with all its machines, behind and started again from the very beginning. But Georg Hetzler did not have to think twice about where to go. Rudolf Dassler was the one who hired me. It was clear for me that I would come with him. Even if that meant starting all over again. Starting all over again is what they did, forever faster: On June 1st, 1948, the “Rudolf Dassler Schuhfabrik” started commercial activity. With the foundation, Rudolf Dassler first named his company “RUDA” – a combination of the first two letters of his first and last name. Fortunately, he quickly dismissed the idea and picked the name “PUMA Schuhfabrik Rudolf Dassler”, which he announced in a letter to his customers and partners a few days before Christmas 1948. Rudolf’s vision was that all of his products would embody the characteristics of a Puma: speed, strength, suppleness, endurance and agility – the same attributes a successful athlete needs. But the first PUMA logo of 1948 did not quite reflect this agility. That’s why in 1957 a more fashionable logo was introduced. But it was not until 1967 that the first version of today’s logo was created. “Rudolf’s son Gerd Dassler was friends with the cartoonist Lutz Backes, who was chosen to design a new PUMA logo”, Helmut Fischer remembers. Backes was offered a cent of every PUMA item sold with his logo, but decided to charge the company 600 marks for this job. He would have become a multi-millionaire, if he had agreed to receive commissions instead of this one-off payment. Over the years the jumping PUMA changed: Its eyes and muzzle are gone and the ears are more pronounced today. Though Rudolf Dassler once joked that a long tail cost him more advertising money, its length remained pretty much like Lutz Backes had originally drawn it. PUMA’s world famous ‘No. 1 logo’ was born. Obviously, a lot more than the logo has changed over the past 70 years. 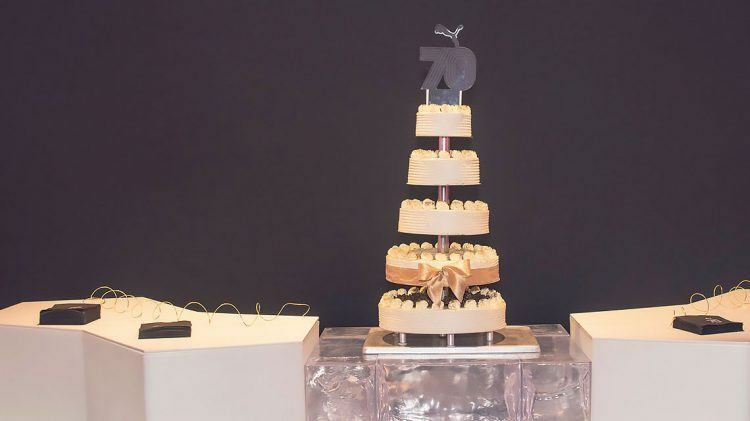 Georg Hetzler puts it straight: “If only the old boss could see that,” the 87-years old said noticeably impressed when he visited the headquarters in Herzogenaurach on the occasion of PUMA’s 70th birthday. The company founder in 1968. 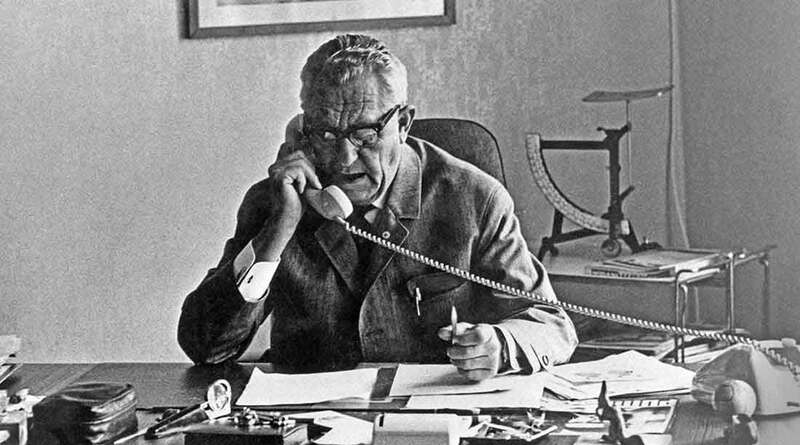 Rudolf Dassler hired Georg Hetzler as an apprentice at the Dassler Brothers Schuhfabrik in 1947. Georg Hetzler remembers him as a very humble person who had a close relationship with his employees. 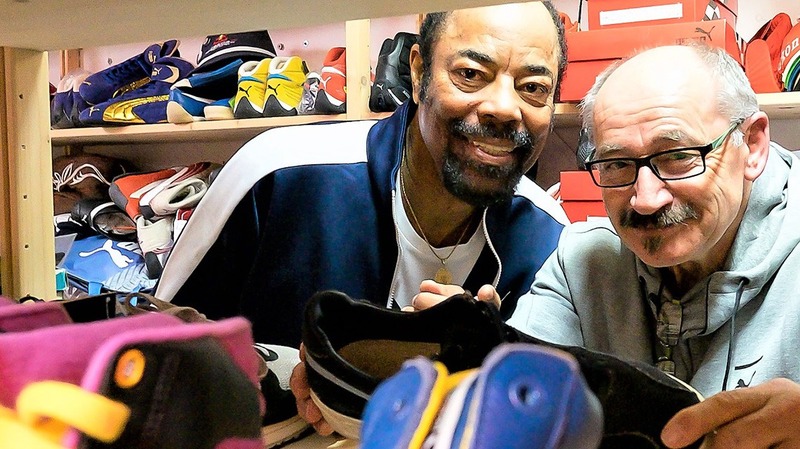 Mr. PUMA started his career with the company in 1978 and is now in charge of the PUMA Archive. What do you like about the Suede? All eyes on PUMA's employees!